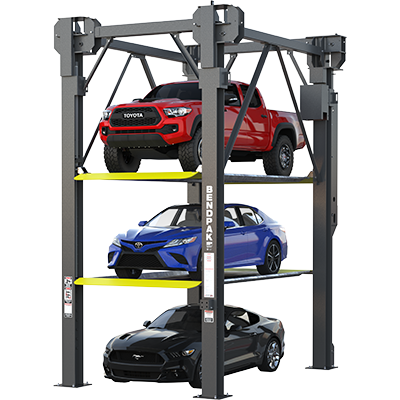 Gary Bloom Sales, Inc. offers the ultimate garage storage lift system for your home or four your business business owner. 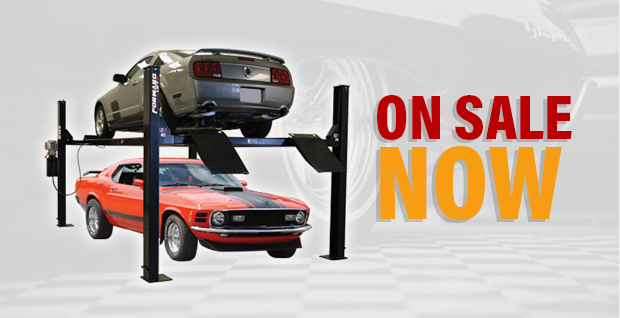 Our 4 post storage lifts are designed to maximize the storage capacity for your garage storage and garage organization. 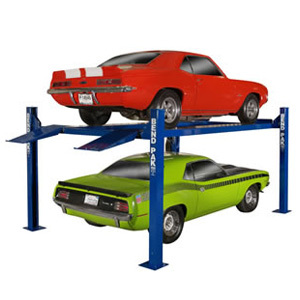 The storage lifts allows the customer to organize their garage the right way. 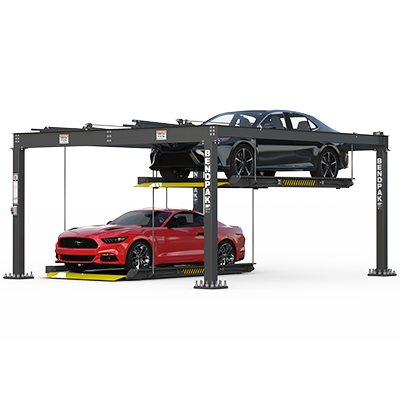 Your home garage was designed and built to store your cars when they were not being used. 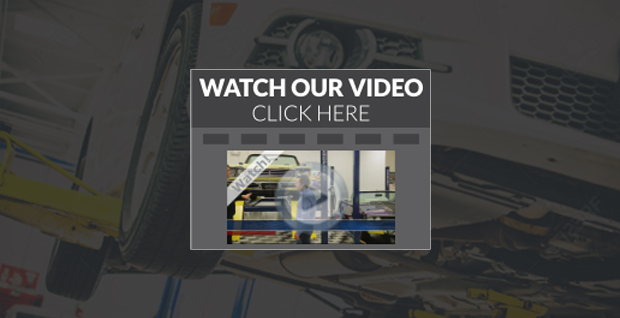 Most garage organizer systems are a mixture of fancy shelves and decorative cabinets that do little more than just conceal and redistribute your garage clutter. 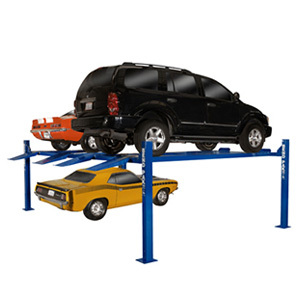 These garage organizer systems do not address the issue of reclaiming your floor space, so that you can use your home garage for car storage. 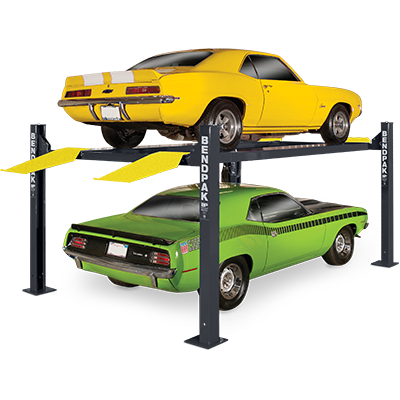 Some professional garage organizers offer a garage loft system that must be mounted to the garage ceiling rafters. 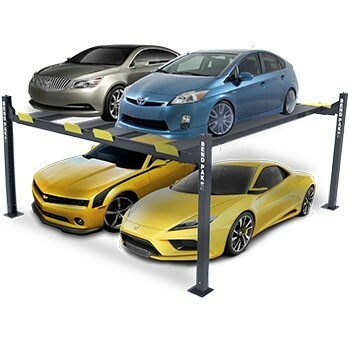 These garage organizer’s “loft systems” are advertised to hold up to 300 lb. 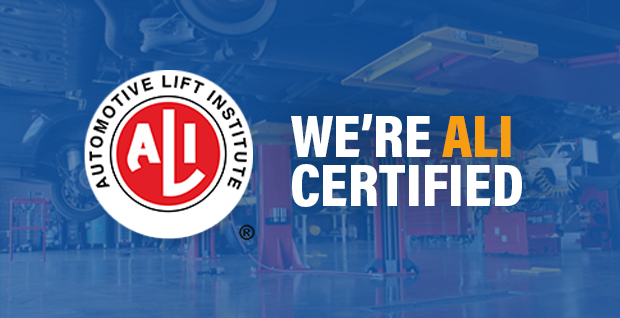 How do you lift your 300 lb. of clutter to be stored eight feet into the air? 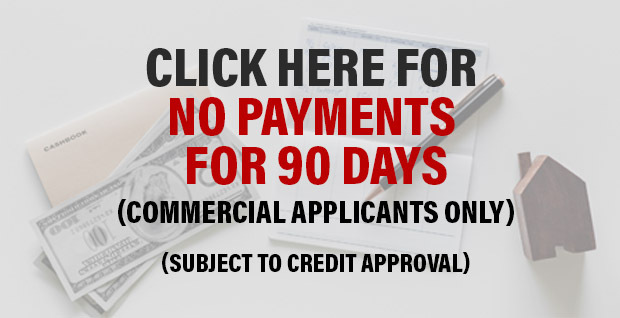 How do you get the 300 lb. clutter down from the hanging storage system? 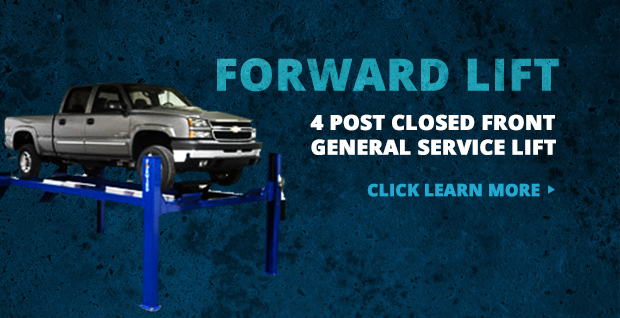 Our four post auto lifts are the ultimate garage organizer because it actually lifts heavy items into the air and stores them until they are ready to be used. 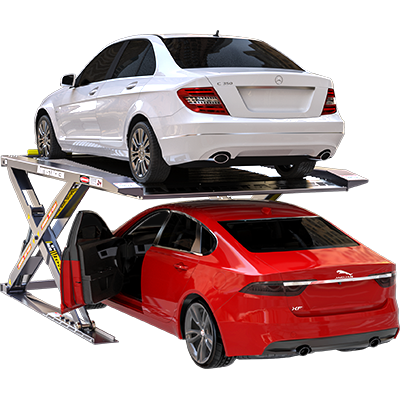 Our storage lifts effortlessly raises and lowers up to 9,000 lbs. 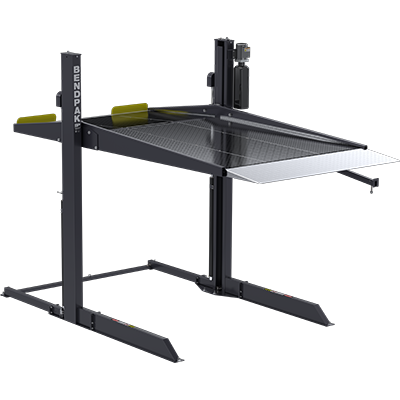 evenly distributed so that you can reclaim your garage floor space. 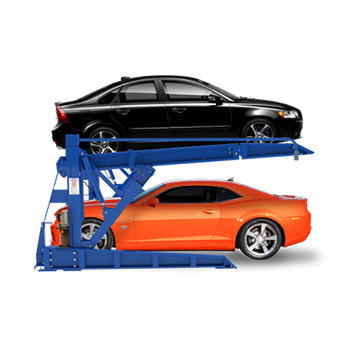 There is no need to get out the step ladder and lift those heavy boxes either up or down from the permanent storage shelf. 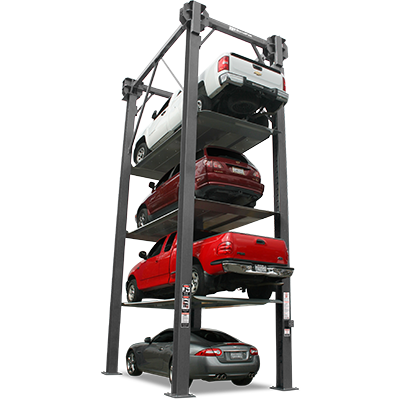 Storage lifts or parking lifts are the only real solution to free up the valuable floor space of your garage or workplace. 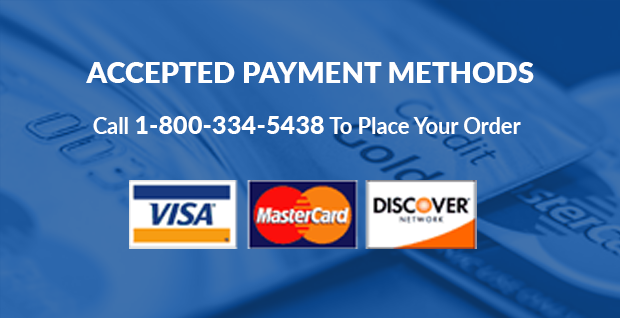 Gary Bloom Sales, Inc. storage systems (storage lifts), adds immediate value to your home or business. 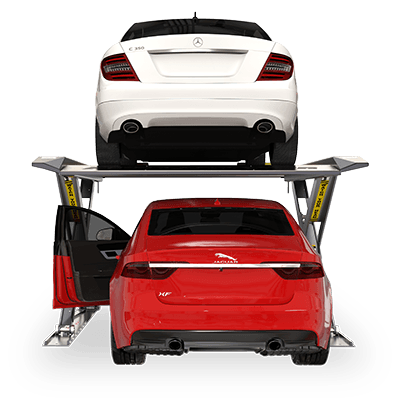 Our storage lifts can be used indoors or outdoors.